Achabal is an important tourist place about 7 kilometres away from Anantnag. The place is famous and attractive due to an ancient spring surrounded by a garden terraced and developed by the Mughals. The place has got some historical background also. The upper portion of the garden is called 'Bag-e-Begum Abad' developed by Malika Noor Jehan Begum in 1616 AD and renowned as Sahib Abad in which there was a Hamam (treasure of water) getting heat from a logical lamp (Tosnag). Cascades and fountains erected by Mughal Emperors enhance the beauty of the spot. A mosque standing in the garden believed to have been constructed by Mughal Prince Dara Shikwah. Achabal was once the pleasure retreat of Empress Noor Jehan. A trout hatchery is also located nearby. 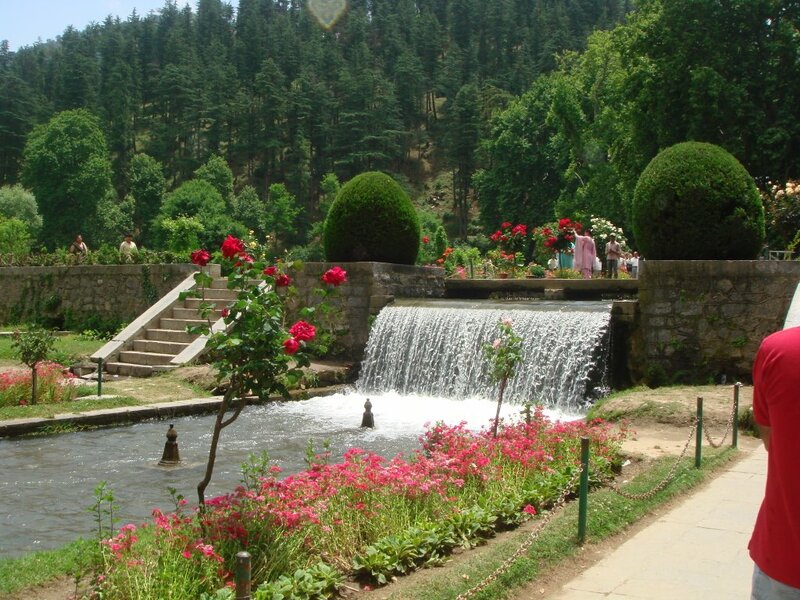 Achabal is the site of a famous Mughal garden called Achabal Gardens. Achabal is a part of Kashmir kingdom during 15th century AD. Previously it was under ‘Kashmiriyat’ – a ‘social and cultural consciousness’ of Kashmiri people was developed. Mughal Emperors like Akbar, Mughal Emperor Jahangir, Sultan Said Khan of Kashgar, Sultan Ghiyas-ud-Din Zain-ul-Abidin, Mughal Empress Noor Jahan, Dara Shikoh, etc. were notified people who ruled this place. ‘Tarik-i-Rashidi’ – a personal memoir of the Central Asian History was written by Turko-Mughal Military General Mirza Muhammad Haidar Dughlat, who is a polyglot and a historical writer as well.